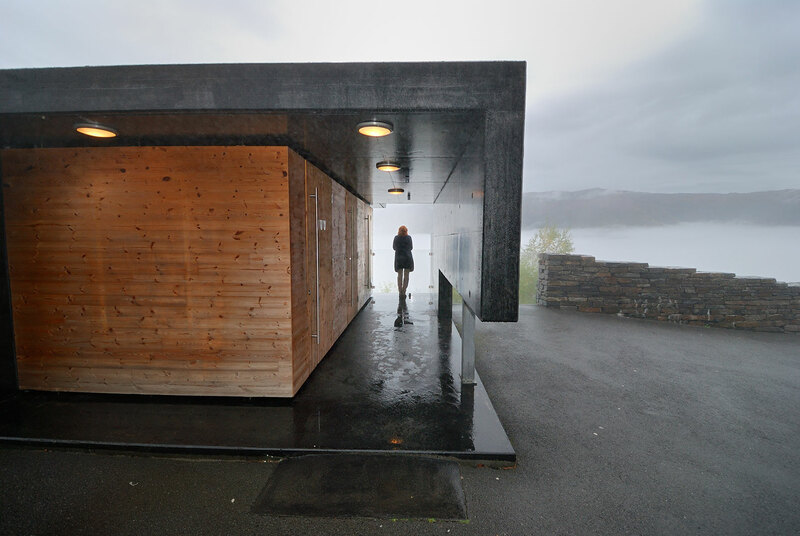 For want of a more spectacular view, this public toilet in Norway surely takes the cake. 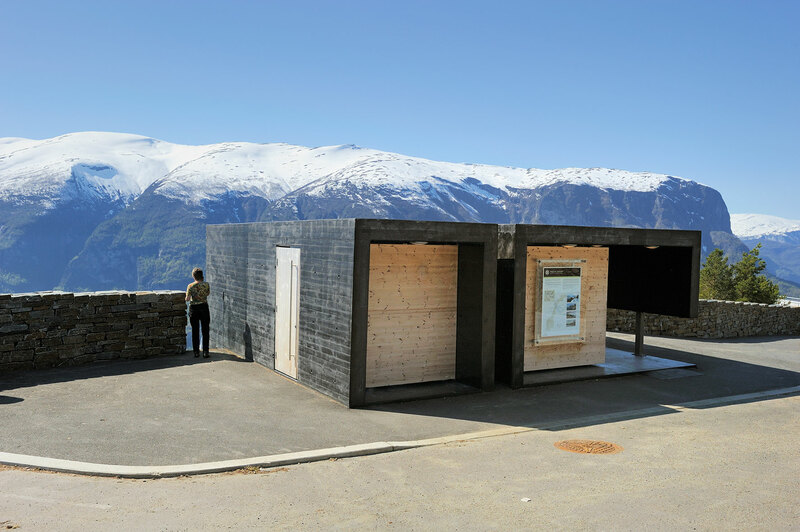 Located at Stegastein lookout along one of Norway's National Tourist Routes 'Aurlandsfjellet', the toilets align with the minimalism design of the lookout itself. 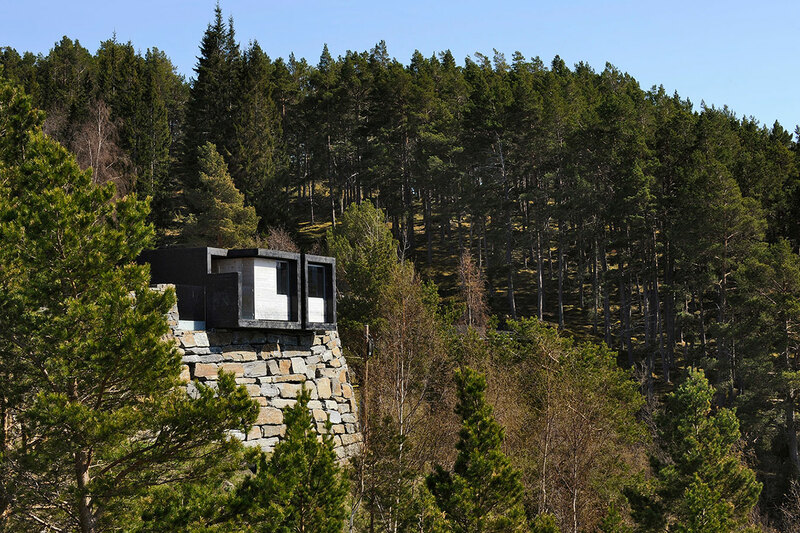 The toilet building is set over the edge of the cliff creating a dramatic effect and allows users to see out across the fjord for a breath taking view, but no chance of outsiders seeing in. the toilet is black painted concrete giving it a heavy look in comparison to the blues and greens of the surrounding nature. 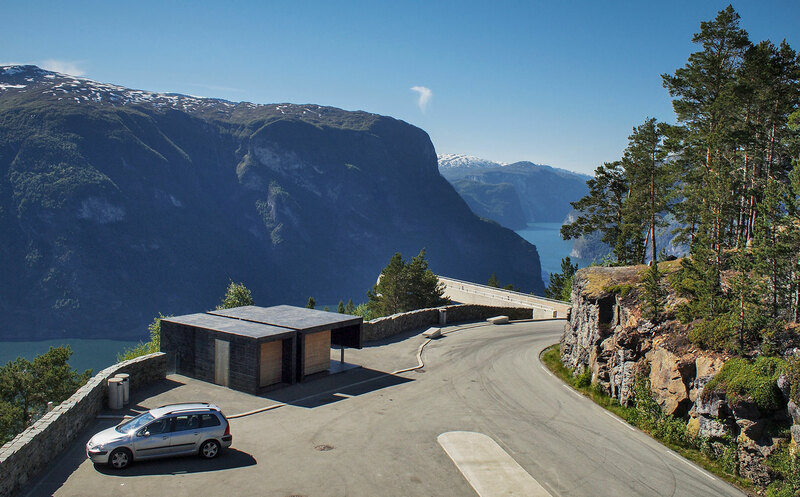 The toilets look out across one of Norway's larger fjords on the west coast, near the small town of Aurland in Sogn og Fjordane. The architects, Todd Saunders and Tommie Wilhelmsen of Saunders and Wilhelmsen were one of three architects selected to submit a design proposal by the Norwegian Highways Department. The project was built in Fall 2005 and opened in June 2006. 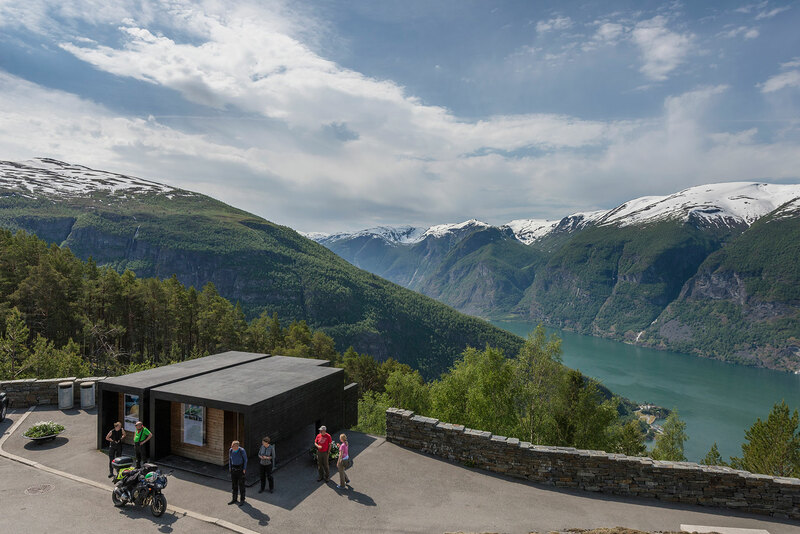 Images used at the courtesy of Norwegian Public Roads Administration and National Tourist Routes Norway. Please refer to photographer's credits.